When you submit an article to a journal, the journal performs an initial, formal check for English language usage, checking to make sure that your paper is free of all errors in syntax, grammar, and spelling and uses appropriate diction throughout the entire paper. After it passes this hurdle, they pass it to the journal editor responsible for content assessment, who will decide if your article will be peer reviewed. For English-as-a-Second-Language (ESL) authors, the initial language check can be a major hurdle. Like any writer, ESL authors tend to focus on their argument when writing and can easily overlook typos and unconscious grammatical errors. But ESL authors have an added burden because these authors may not have completely learned all the subtler nuances of diction, idioms, and tone — and may still make grammatical mistakes. 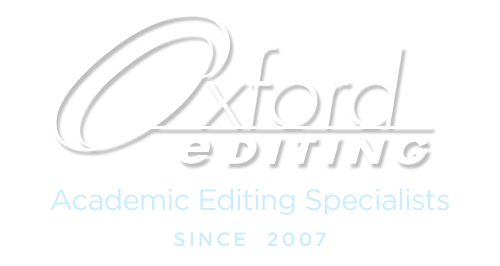 Oxford Editing’s editors are both native English speakers and expert academic editors with much experience editing papers for publication. Our academic editors can ensure that your manuscript conforms to your target journal’s structure of submission, adheres to its Guide for Authors, and has correct English language usage. Often when a paper is revised, new errors are inadvertently introduced, which can be a more significant problem for ESL authors who are still finessing their English. We offer follow-up proofreading at an affordable rate. We also offer 25 minutes of complimentary proofreading as part of your fixed rate. We cannot guarantee that your paper will be published or that your grant proposal will be funded, but we can ensure that if you use our language editing service, your paper will be free of language errors. Many journals request that ESL authors submit a certificate that states that their paper received a language edit. 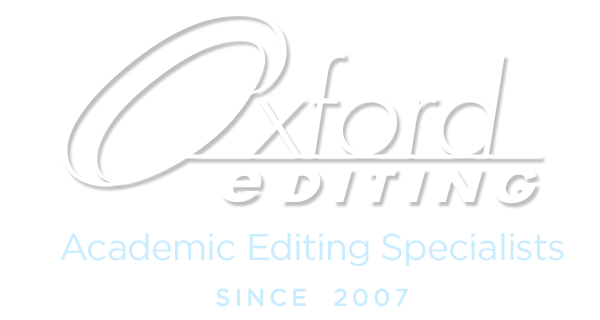 Upon request, we will gladly send you a certificate of language editing to submit with your article. Click here to send us an email if you have any questions about our services. We would be delighted to speak with you.